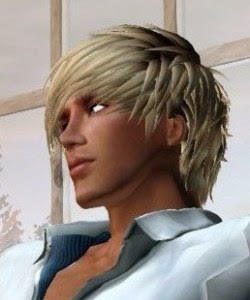 A great event in Second Life: the inauguration of the new West Side Gallery of Eddi Haskell, at Virtual Gay World Sim. We are in luck because we can admire the photographic art of Eddi in a new big building with design based on the Guggenheim Museum of NYC. 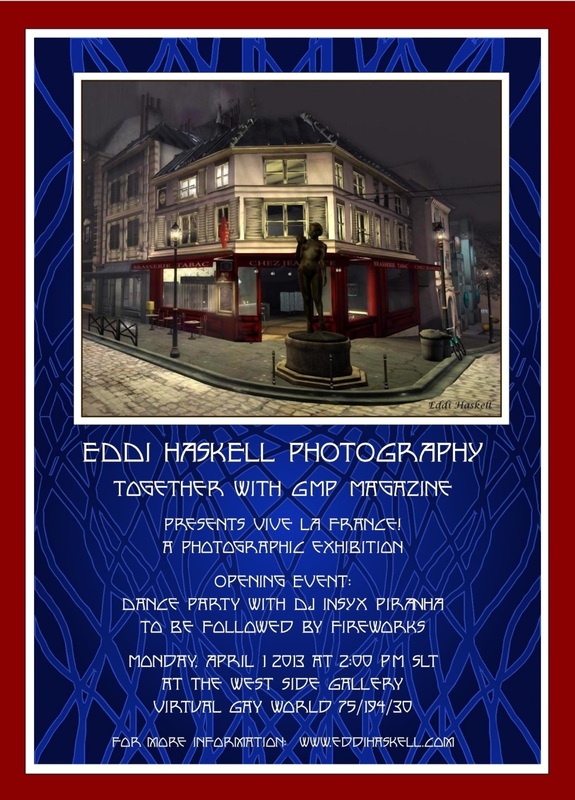 For the opening of the new place, Eddi exhibits his photographs about France in Second Life. In this photographic exhibition, called Vive la France!, we can see several shots to different French Sims through the amazing and sensitive Eddi's look. Today there will be a big party with DJ InsyX, from 2 to 4 pm SLT, to be followed by a grand fireworks display. 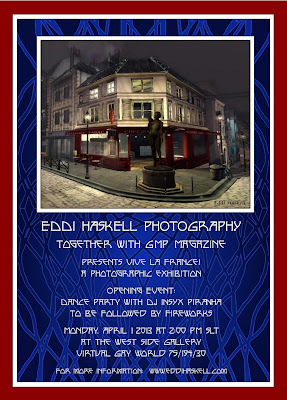 Take this taxi to the new Eddi's Gallery, you should not miss it!